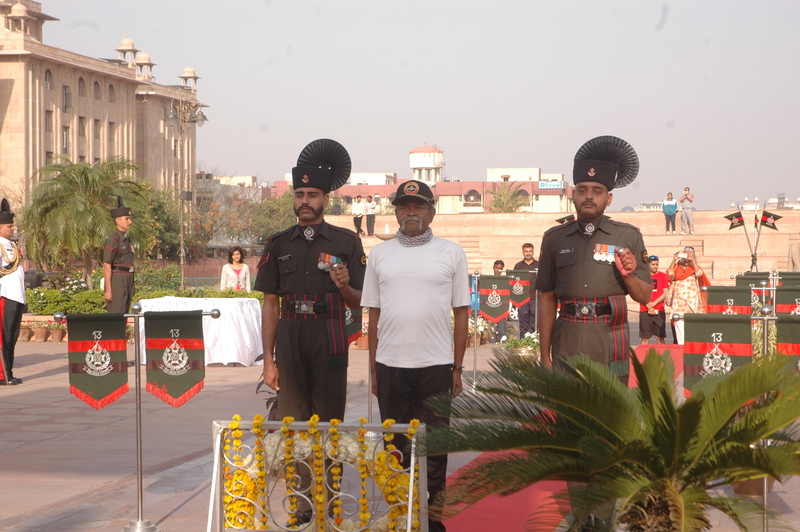 Retired Major General Somnath Jha, after doing cycling today morning with local cyclists in Jaipur placed a wreath at Amar Jawan Jyoti at Janpath. It is to be recalled he is in Jaipur as a part of his mission to pay homage to fallen heroes since 1947 through cycling two minutes for every martyr. His journey started on 19 October, 2016 and his mandate is to touch all states of India. When he reached Jaipur he had already cycled for 34,000 minutes and paid homage to 17,000 soldiers. The total journey ranges 12,000 kilometers to be covered over a period of around seven months.